Based in Canada Square, Canary Wharf our professional photographers specialise in creating impactful headshot images that will put you ahead of the game. 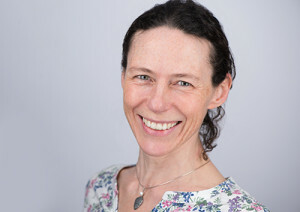 Whether you are looking for a professional headshot for your LinkedIn profile or want to build your brand with a range of professional images, our experienced team will work with you to capture your unique personality. First impressions count which is why we make sure you are relaxed and comfortable, so we can deliver the perfect shot that promotes your unique strength. Why you need a professional headshot? Individual clients are welcome to come to our Canary Wharf headshot studio. Select the Book Now option for our online booking system. Please call us on 0800 0234565 if you can't see the dates you were looking for. Designed for the business professional looking for a powerful headshot to help your Linkedin profile stand out. The ultimate headshot shoot and personal brand builder. This shoot combines a  range of headshots with  personalised marketing me shots. We shoot a range of shots including half, three-quarter and full-length shots. We also take interactive action shots with and without props, such as your book or product. This shoot includes 12 different images. Also included are a personal brand workshop, hair and makeup, colour consultation and LinkedIn profile coaching with our professional partners. Suzi Mitchell is the Headshot Guy Canary Wharf. When not out on location photographing team headshots for companies in London’s Canary Wharf Suzi Mitchell can be found coaxing camera-shy individuals to be photographed with confidence and approachability in our studio. At the ground floor reception desk give your full name and present your photo ID. You will then be accompanied to Level 33 where you will be greeted by Regus staff.